Leave Los Angeles in the morning, 1.5 hours to Palm Springs. 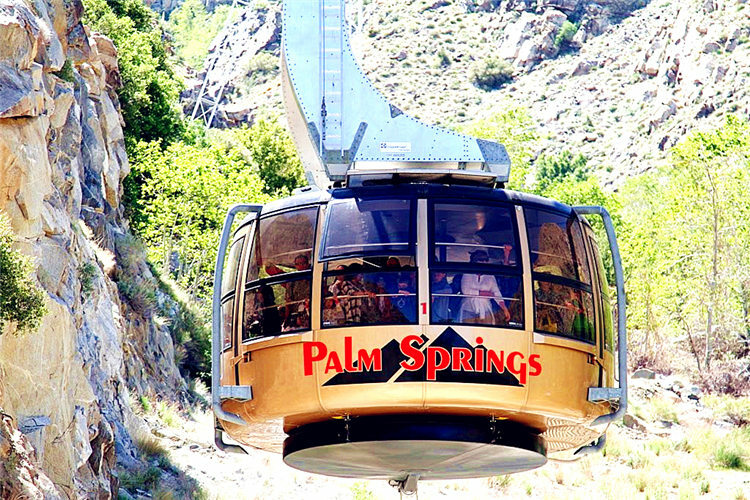 Take cable car (ticket not included) to the top of the San Jacinto Mountains, enjoy the breathtaking view of Palm Springs from an elevation of over 8,516 ft above sea level. Then proceed to Desert Hill Factory Outlet. There are over 130 brand name stores like Dior, Dolce & Gabbana , Giorgio Armani, Gucci, Jimmy Choo, Prada, Salvatore Ferragamo, YSL, Zegna, DKNY, etc……. Every day there are 25% to 70% discounts offered at different stores. Arrive in Los Angeles at approximately 6:00 p.m.